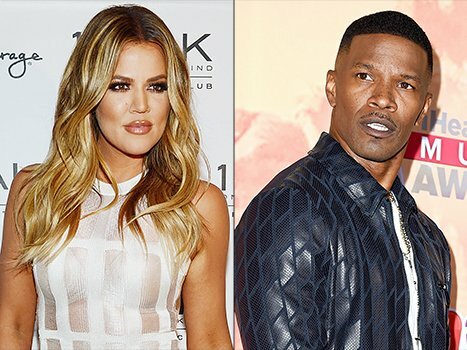 Khloe Kardashian has opened up on Jamie Foxx’s controversial joke about Bruce Jenner at Sunday’s iHeart Radio Music Awards. At the iHeartRadio Music Awards, which Jamie Foxx was hosting, he joked in his opening monologue about Bruce Jenner’s reported transition to a woman. “Bruce Jenner will be here doing some musical performances. He’s doing a his and her duet by himself,” Jamie Foxx said during the televised event on NBC. The Keeping Up With The Kardashians star came to Bruce Jenner’s defense telling to The Insider at the Ulta Beauty & Khloe Kardashian Celebrate the Launch of Kardashian Beauty event on April 2: “I just think it’s a low blow. I think it’s very mean. I wish him all the best. It is what it is. “But hey, guess that’s what he felt the need to do for a little press,” Khloe Kardashian continued. Viewers were not happy about Jamie Foxx’s joke almost immediately after it aired on March 29, with some taking to Twitter to criticize his choice words.